Attention Entrepenaurs and MasterChef Fans! You could win a double pass to marketing workshop with Jenny Lam! Are you pursuing your life passions and purpose? 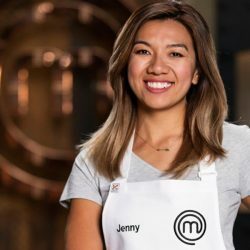 2018 Perth MasterChef contestant Jenny Lam is. She has 2 passions – cooking and business. You’ve probably seen her creative creations in food recently on Channel 10’s MasterChef series…What you may not know is, Jenny also runs a successful advertising agency which allowed her financially to pursue her passion for 6 months filming MasterChef. She has the systems and team in place where her business can run without her having to be there. Jenny has returned from the Channel 10 series and is now considering opening a cooking school to help both adults and children pursue their passion. Come to join like-minded established and budding entrepreneurs, cooking enthusiasts, and those hungry to learn about living their life purpose through business, with some very practical “how-to” when it comes to marketing. Jenny will be speaking about “How to Market Yourself Online”. And from her story, we think you’ll agree, she has the “runs on the board” when it comes to advertising online and also in traditional media. She’s the special guest speaker at Blu Sky Factory’s Business Breakfast on Saturday, September 8th 2018 at Doubleview Bowling Club, (17 Shearn Cresent, Double View). Opportunity to Participate in Advanced Financial Education Courses Designed to Help You Live Your Life Purpose & Fund It Using Techniques the Wealthy Use. Just head over to our Facebook page and play our ‘WIN’ game. All you have to do is guess which 98five team member is hiding the tickets!